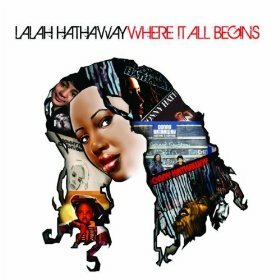 Lalah Hathaway, R&B music’s hidden gem, delivers her sixth album, Where It All Begins, which is her second on the legendary Stax label. With a noticeably different vibe, this album still showcases the acclaimed songwriter and producer’s uncanny ability to weave great stories and still make it relatable to all. The title track tells the story of being true to oneself, remembering “the person you are/and who you portray.” A telling tale from the daughter of the late soul legend Donny Hathaway, Where It All Begins’ cover art is a collage of her father’s album covers, but with her face in place of his.